Hiking the Appalachian Trail (A.T.) isn’t just a walk in the woods—it’s an experience that embodies an environment linking the majestic Appalachian Mountains to the human landscapes of the eastern cities. 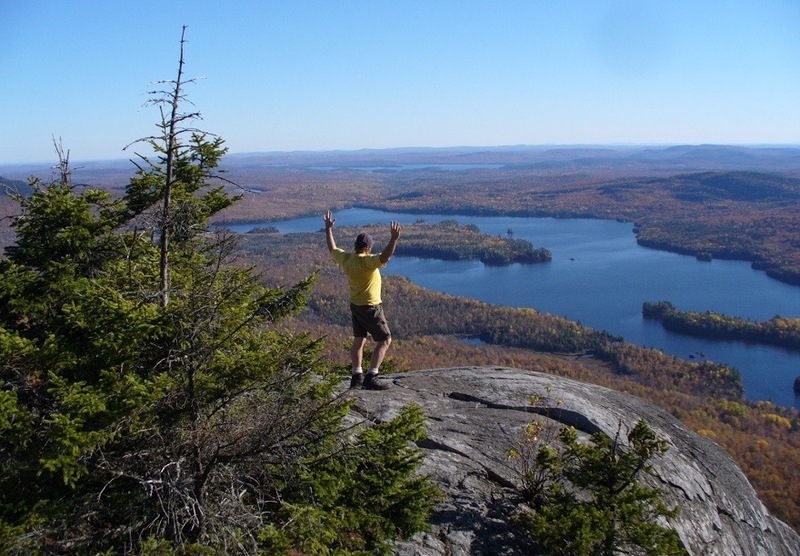 Iconic viewsheds and the precious natural resources and cultural heritage that surround the Trail all contribute to the Trail hiking experience. The landscape surrounding the world-famous Appalachian Trail (A.T.) connects rural communities, working farms and forests, and national heritage areas and historic sites; squeezes through rapidly developing regions; and provides the foundation for world-class outdoor recreation and tourism opportunities. The A.T. footpath and a surrounding narrow corridor are protected by federal law as established in the National Trails System Act of 1968. While public access and trail continuity are secure and well managed, many of the iconic viewsheds, watersheds, and areas of natural and cultural significance comprising the A.T. landscape are unprotected and vulnerable to external threats. These important resources are susceptible to the impacts of commercial and residential development, destruction of diverse wildlife and plant habitats, inappropriately sited energy development facilities, and the loss of unfragmented habitat that provides resiliency to the impacts of climate change. The Trail passes through 14 states, traverses 6 other National Park Service units, 8 National Forests, 2 National Wildlife Refuges, over 70 state parks, forests, game lands, and wildlife management areas, 88 counties, and 168 townships. and cultural features, and prevent land-use changes that impact the Appalachian Mountain landscapes surrounding the Trail. Identifying and targeting a diverse variety of landscapes, watersheds, and viewsheds has the potential to significantly enhance for future generations the natural, emotional, and economic value of a 2,190-mile stretch of mostly rural America. 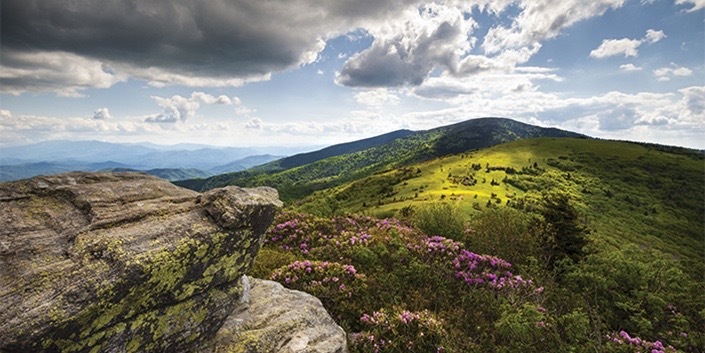 Protecting the A.T. landscape is a partnership initiative based on the recently adopted Appalachian Trail Conservancy’s (ATC) 5-year Strategic plan and the National Park Service (NPS) Appalachian National Scenic Trail’s Foundation Document and Business Plan. The multi-jurisdictional complexity of the A.T. requires a large landscape-scale conservation strategy which involves commitments from a variety of stakeholders. 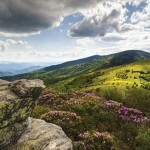 The Appalachian Trail Landscape Conservation Initiative will work to create strong local, regional, and national collaboration and support to safeguard the picturesque vistas, wildlife habitat, ecological health, streams and rivers, farmlands, and valuable historic sites that are all part of the A.T. experience. The Initiative will embrace the many advances we have had in ecological science over the last century, including the critical importance of conserving the health and integrity of whole, connected ecological systems–particularly as the planet continues to warm. And it will tackle head on the escalating development pressures of the eastern seaboard, and the vital need to sustain our ecological, cultural, community, and scenic resources while we still have the chance. One example of how the A.T. Landscape Conservation Initiative might work is the South Mountain Partnership. This effort embraces a four-county region that surrounds the Trail near the state capital of Harrisburg. An 80-mile stretch of the Appalachian Trail is surrounded by a landscape of elaborate barns, apple production, historic sites, and the largest contiguous intact forest between Harrisburg and Washington, DC. A partial list of South Mountain partners includes local historic societies, sportsmen and wildlife advocates, tourism bureaus, local county and municipal governments, the National Park Service, local and national non-profit land trusts, ATC, and the Pennsylvania Department of Conservation and Natural Resources. The Partnership brings people together across geo-political and sectorial boundaries to highlight the importance of the landscape and take action to secure its future. Other landscape-scale efforts are underway along the A.T. in the Roan Highlands of North Carolina and Tennessee, the mountains of central and northern Maine, and the Kittatinny Ridge in Pennsylvania. Each of these efforts brings together willing and interested public and private partners to connect and conserve ecological, cultural, historic, scenic, and community values of the natural landscapes, all associated with the Appalachian Trail corridor. In December, 2015, nearly 70 conservation leaders representing agencies and organizations from up and down the Trail gathered for the first meeting of the Appalachian Trail Landscape Conservation Initiative to work on developing a shared vision, learn about large landscape conservation initiatives, and explore possible priorities areas for land conservation. The next steps will focus on refining a vision for the Initiative, creating a steering committee, developing an active communications/outreach strategy, and identifying high-priority land conservation target areas. Dennis Shaffer is the Director of Landscape Conservation with the Appalachian Trail Conservancy. Dennis has spent his 30-year career working on land conservation initiatives in states along the Appalachian Trail and the San Juan Islands of Washington. 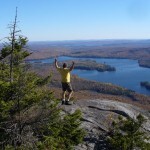 He has hiked the full-length of the A.T. from Georgia to Maine.